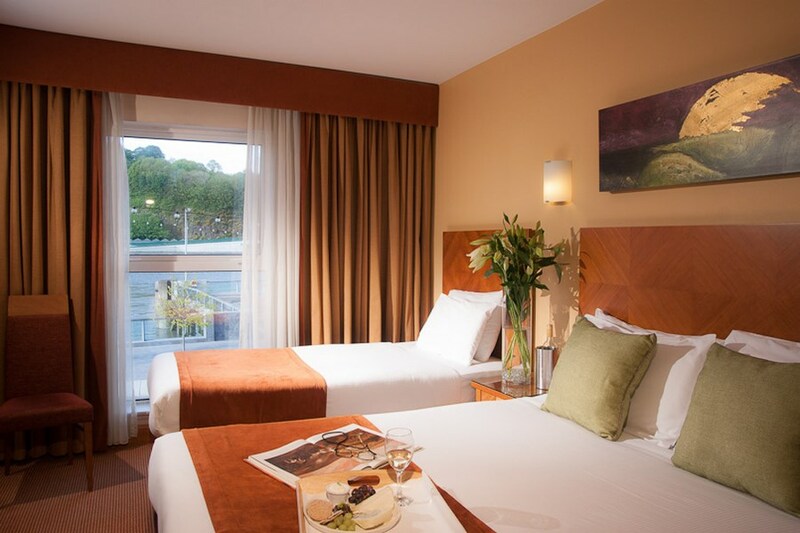 Treacys hotel is ideally located in Waterford city centre. Both the bus and train station are less than a 5 minute walk from the hotel. All Waterfords local attraction including the Viking Triangle, Waterford Crystal, Reginalds Tower and Waterford Golf Club are all within a 10 minute walk. Waterfords main shopping & nightlife area are within easy access to the hotel. 5 stars for this hotel, the staff could not do enough to accommodate any requests. The food was lovely and there was entertainment on in the bar all weekend, this hotel is in a great location and within walking distance to everything. The hotel itself is quite old and the heat in the rooms was very hot. other than that we had a wonderful stay and would definitely stay there again. Great hotel for a family break - the children were treated very kindly by all of the staff. Room was comfortable and breakfast buffet had a great variety of choices. Would return. Excellent value for money at this hotel. We could not fault the room or service. Good breakfast and great bar food. We arrived soon after 3pm and we did have to wait a few minutes for the room to be ready. Kids play area is a bit rundown, but overall we really enjoyed our stay here. We had a lovely time Bar Food menu was lovely and childrens menu was excellent value children had a great time Staff are very friendly and helpful I would stay there again. My husband and I came to stay at Treacey's hotel on Wednesday 20th Sept to cycle the Greenway. We were greeted with such politeness at the reception while checking in. When we asked about a safe place for our bicycles they went out of their way to put them in a safe place for us. Our room was clean just perfect. Would recommend Treacey's of Waterford to stay. So convenient for Greenway enthusiasts. Also so close to shopping and of course the beautiful Waterford Crystal. Excellent location in centre of Waterford city. Staff were very friendly and food was good. Great value for money. very friendly staff. excellent breakfast,more than enough to eat. Room ok, but over looked the main road and was quite noisy. The meal in the restaurant was lovely. Would recommend it to others. Fantastic location. Ideal for exploring. What can i say about this hotel. Really excellent staff. So friendly and helpful. I cannot commend them enough. On the tuesday of my stay, i was completely bed bound with sciatica and the staff helped my mum make up a tray of breakfast for me. The leisure centre was amazing. Jacuzzi, steam room, sauna, swimming pool. It was a level dept swimming pool so perfect for anyone who hates getting out of their depth. My only complaint. Was the bed. Twice i fell out of bed because when i got within 6 inches of the edge, the mattress seemed to give in. Hopefully it was just an issue with the double mattress in my room 110. Other than that, i absolutely could not fault it. five stars .. had a fab time in hotel food was good and the pub was also very good by nite. would stay there again. Had an absolutely wonderful time at this hotel! The staff were really lovely and efficient. There was a problem with our room and they changed us without fuss. The pool was spotlessly clean (don't forget your hat!) and particularly loved the ice bucket after the jacuzzi. Breakfast was extensive, something for everyone. The worst part was leaving! Can't recommend this place enough! Stayed Friday 28th July. We really enjoyed our stay, staff were great, very friendly and helpful. We had a family Room in Block B ( Double Bed, Single Bed and Bunk beds in the form of a bus which our daughter absolutely loved). We had bar food and also ate in the restaurant both delicious. We used the pool twice (changing rooms very small, pool was clean and busy). Hotel Reception, Breakfast room and Bar are a bit dated and could do with a re-vamp. Great location, would definitely stay again. I really enjoyed my stay here, I stayed on Friday 21st with my Partner and Daughter and we had a blast. We had dinner in the restaurant which was ok, we got steak and paid the extra supplement as the menu wasn't great and the deal we had didn't give many options. Restaurant staff were great and food was ok too. Our room was fabulous we had a king size bed and a carrycot for my daughter which was all very clean and the room was so spacious. I would definitely stay there again. We enjoyed ourselves a lot and will be booking again soon. I stayed here this past Monday with my 2 children and my mother-in-law. I had booked a family room and was expecting your run of the mill double bed with accompanying twin singles. When we arrived the staff were very busy, helpful and pleasant. We stayed in room 140 and let me tell you it was way beyond our expectations. This room has 1 double and 3 single beds, spotless clean and very spacious. From the moment we arrived the kids had a blast, soft play area to back of the bar with few arcade games, plus 3.5hrs of kids club from 6-9.30pm and again in the morn from 9-12. Wendy was on kids club Mon night and she was marvelous. We passed the room on a couple of occasions and heard the kids playing and having fun and Wendy's interaction with them was patient and kind whilst being attentive to their needs. Food was lovely, service equally lovely. Although there was a pool etc the kids were not interested as they were having such fun in kids club. We did find the room was incredibly hot and so I phoned reception for a fan which was sent to the room immediately and we were most grateful. Overall I would gladly recommend this hotel to any family looking to have a short happy and entertained getaway.....this room suits 5 people perfectly with ease and not to mention 6.5hrs of kids club per day to give parents a much needed relaxing period. All hotel staff were lovely I have nothing negative to say about any area to be honest. All we wanted was somewhere adequate, clean and suiting our needs and in fairness they exceeded all this effortlessly. So thank you to all the staff for what was a very enjoyable stay. If you want simplicity, value and kids entertainment then stay here. If you want expense, costly kids entertainment for much less time and super luxuries of other kinds stay elsewhere. Regards from Catriona in Carlow. HOTEL WAS CLEAN & COMFORTABLE - A LITTLE BIT NOISY DURING THE NIGHT & THE CLEANERS STARTED AFTER 8.30. MY MAIN COMPLAINT WOULD BE THAT I RANG THE HOTEL BEFOREHAND TO ENQUIRE ABOUT PARKING & WAS TOLD THAT NONE OF THE HOTELS ON THE QUAY HAD PARKING & WE HAD TO USE PUBLIC PARKING. THIS WE DID BEFORE CHECKING IN & PAID E4.40 FOR 24 HRS PARKING. HOWEVER, ON CHECKING IN, THE RECEPTIONIST ADVISED THAT THERE WAS CUSTOMER PARKING AT REAR OF BUILDING WHICH WE COULD HAVE USED. AS A RESULT, I WAS OUT OF POCKET BY E4.40 BECAUSE ONE OF THE STAFF GAVE ME WRONG INFORMATION !!!!! Worse hotel I have ever stayed in. We stayed for two night on the 20/04/2017 and the 21/04/2017. Room 312. Tiny room for two adults and our teenage son. Black mould on bedroom window inside and out. Fire/smoke alarm just put into ceiling never replastered. Broken lock to bathroom and mould patches around shower. We also booked B&B and an evening meal. Dinner was dreadful so much so we had to eat out at a nearby hotel. Breakfast we were told was served to 10:00am on the Friday morning it was served until the food ran out. I am vegetarian and do not eat sausages rashers etc when I asked a rather unpleasant chef for some hash browns and mushrooms I was told do not do them. I asked for croissants no sorry ran out of them when there gone they do not do any more. Just empty baskets. Eventually after complaining to a waitress I got two hash browns and a tomato. This was 9:30am on a Friday morning. Didn't bother going to get breakfast there on Saturday morning we all went out and had to buy it. Room with paper thin walls, woken up early on Saturday morning by bottles been moved and beer barrels been collected. We went for a drink in the bar on the Friday, staff extremely rude we asked one waitress if she had a cloth to clean the table she just turned and said she had only just moved the plates but she more intent on removing the menus and condiments as it was coming up to 9:00pm and did not want us to order food. Other bar staff were just as bad very slow with no floor service or interaction with any of the customers, the drink was just placed on the bar, if you wanted a straw or a bar mat we were just pointed at where they were get it yourself. It cost us €4:40 per night parking and we had to ask about the free car park which was some walk away up a hill. There also was a very unpleasant smell in the hall of the hotel. This two night stay cost us nearly €300.00 and we are very annoyed as we were looking forward to a few days away from a very busy work life. The hotel itself is in need of a total makeover, everything is shabby and worn out. My daughter and her partner also stayed in the hotel on the Friday and the Saturday night they were also disgusted with the room, late cancellation of their pre-booked spa treatment, food and on Saturday night spent 3 hours outside after the fire alarms went off. Never again such a waste of time and money thought we would never get home. 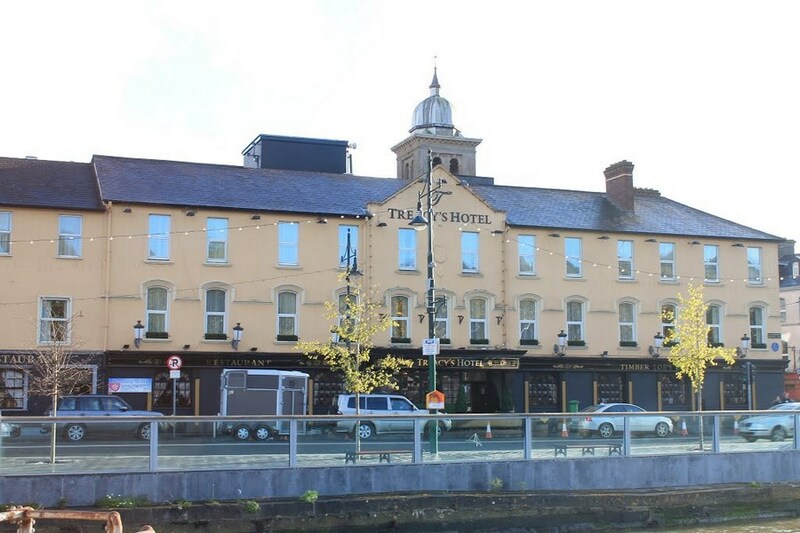 Treacy's Waterford is a lovely hotel and the staff are second to none. There was an incident whereby the Fire alarm was set off at 5am but that wasn't the hotels fault and I know protocol has to be adhered to so I had no issues with this. The food in the Restaurant was lovely and Miriam is just a lady and the next day we had lunch in the bar and whilst I don't know the name of the waiting staff that served us both of them were just so nice and pleasant The rooms do need to be updated but I've been told that this is ongoing at the moment but definitely the public areas as in The Bar, The restaurant and the lobby area are lovely and the food is second to none. enjoyed our stay,great entertainment for the whole weekend ,staff very helpful and friendly..
Four of us stayed in this hotel recently for 2 nights bed and breakfast and one evening meal. Two of us got a room in the old part of the hotel which was at the front and quite noisy and the shower was useless. The other two got a room in the newer part of the hotel and the shower here was super. We ate in the bar the first night and to be honest it wasn't great but we were looking forward to the dinner in the restaurant on the following night and that turned out to be very disappointing, much the same as the bar food!!! The breakfast was okay but my daughter who is vegetarian asked for mushrooms and they said there was none so she was quite limited to what she could eat. There was a very strange taste off the fruit salad at breakfast time which we all noticed this and we ended up leaving it. It would not be my choice to stay here again even though the staff were friendly and helpful. Housekeeping needs to be improved greatly. We did like some aspects of this hotel but not others. We were given a room in the old part of the hotel and it was very very noisy and even had a wheelchair/trolley lift outside too. We did complain and got moved to a better room the second night. The place is a bit of a maze really and can be very confusing finding your way around. On the bright side every single member of staff was really friendly and helpful. We ate all out meals there and the food was great and very good value. Great hotel, great offer. Both my wife and kids were very happy! we went to waterford for winterval festival. hotel good location. good food and staff very friendly and helpfull. I stayed here last with a few friends and it was a great place to stay staff were very friendly and of great help. we had bed breafast and evening meal for two nights and the food was excellent.hotel rooms were very clean and beds were so comfortable would highly recommend this hotel. Myself and my wife booked into the hotel for 3 nights B&B & 3 Dinners, while the price was reasonable, the hotel needs a very deep clean, fans in the bathrooms, toilets, pool are full of dust, the rooms are small, but we got one with a balcony but you could not sit out on it as it is standing room only, the breakfast was self service and was not hot on any of the mornings (but not cold). the evening meal is a set menu and could do with a bit of variety same food every day. the staff and management are very friendly. I think a lick of paint and and cleaning of the carpets in the rooms would not go astray, for the price I paid I would stay again but I would like to see a bit of an upgrade in the whole place, my wife had the special in the treatment shop and she was very happy with what she got. Room and en-suite small. Hotel would need a total revamp as carpets - décor out of date. Everything was clean. Staff very friendly and made us very welcome. Food was good in bar and restaurant. Breakfast hot food was not very hot and eggs were like rubber. Good entertainment in the bar and service was good. First hotel I can say I wouldn't return too. Small rooms for familys no shampoo paper thin walls you can hear everything, talking, TV and toilet flushing of other guests. Smoke alarm went off three times once at 1am and another at 6:30 am. Crap crap crap Wi Fi. Pool changing rooms ware small shower areas were dark and grotty no complimentary shower gels. Pool was nice. Breakfast was good dreadful orange juice, bar food wasn't great tables and chairs were sticky. Multi story car park for hotel was two blocks away approx 150 meter walk thankfully we travel light and it was dry. Fantastic 3 night stay. Great food. Great location. Great atmosphere. Very family-friendly hotel at a very convenient location in the middle of town. Kids loved the bunk bed in the room, the pool and the playroom. HOTEL STAFF WERE VERY FRIENDLY, ITS GOOD VALUE FOR MONEY NOTHING FANCY FOOD OK. THE ROOM WAS VERY SMALL BUT IT WAS FINE FOR THE ONE NIGHT. I WOULD STAY THERE AGAIN AS ITS CLOSE TO TRAIN AND NEAR SHOPS. great hotel kids loved the activities and were very welcome, hotel staff were very accommodating especially house keeping staff. will be back again. Nice hotel on the edge of the water. Staff friendly. Food was good. Old style hotel. Our rooms were in the new block, so nice quite area and rooms were nice and big and clean. Music in the hotel each night. Bar food during the day was tasty and good choices. 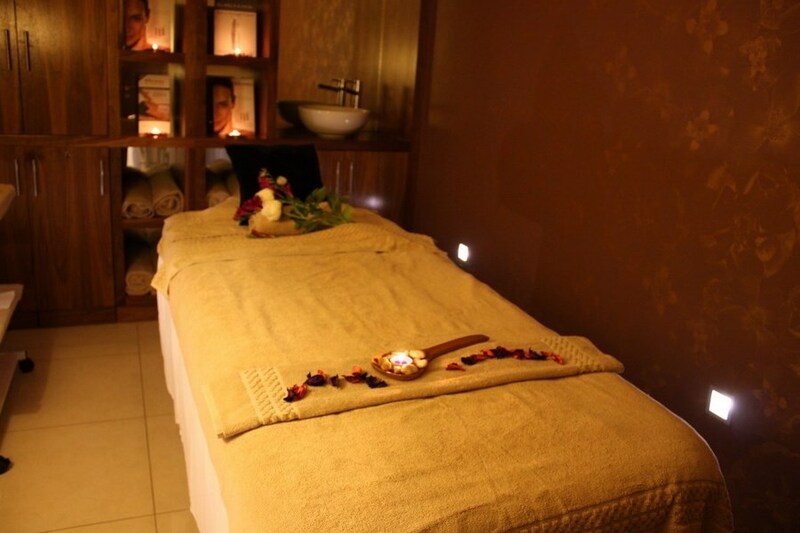 Lovely spa area also pool and fitness available. Waling distance to everything in Waterford. Would stay here again. stayed at Treacys Hotel on sat night Valentines weekend. very enjoyable. lovely staff very comfy and very enjoyable music in the bar . food lovelly, evening meal and breakfast very tasty def recommend would not be disappointed. Great value great food, staff very friendly and helpfull I have no problem recommending this hotel. We had an excellent stay at the hotel. The staff were really friendly. The food was outstanding. Thank you Treacys for a lovely weekend. Great hotel for families we stayed over christmas and had a ball will be back. Nice hotel, rooms are basic, we had a meal in the restaurant, not great, Yorkshire pudding was like a brick, waiter brought us more, they were softer but still bad quality, food in bar wasn't much better, I ordered a steak roll for15 euro, it was the smallest roll I have seen for that price, staff are friendly and hotel is clean.